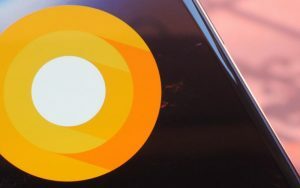 At the recent Google I / O, the Android team unveiled some more detail on “O”, the next major update of the smartphone and tablet operating system. There is no certainty as to how that letter will be declined, although it is almost certain that the Oreo brand name is naming, but what matters is what will be inside the OS, especially in terms of resource optimization and management . Last week, Google released the Android O Preview 3 for developers to install on supported devices, limited to Nexus 5X, Nexus 6P, Nexus Player, Pixel, Pixel XL and Pixel C. In addition, there is obviously the possibility Of the official Android Emulator, but it fails to give you a real touch and feel over a physical terminal. Among the announced innovations are the adaptive icons, downloadable fonts, picture in picture mode, Webview performance enhancements, the addition of high quality Bluetooth audio codecs, the choice of color gamut for single apps and Google Play Protect, the integrated store service that automatically scans all apps installed on each smartphone and scans those in the store at a rate of 50 billion a day to find out if there are any malicious content. According to Google timing, Android O will be released by the end of summer for Nexus and Pixels. Owners of a top range, including branded Samsung, LG, Huawei, will have to wait a few months, even though in December the first models should already be moved to the new system.